For most of my life, I struggled with some level of back pain on a daily basis. Chronic pain is just awful and, unfortunately, far too common. It affects every area of life – relationships, work, exercise, activities; it’s hard to focus on anything other than that pain. I tried different medications and therapies with no relief, and then suffered the side effects of pills… too much ibuprofen over time actually sent me to the hospital for a week (even though I used as directed by my doctor!). In fact, recent research has shown that over-the-counter pain relievers increase risk for heart attack and stroke, can have a significantly negative impact on a woman’s fertility, and cause kidney damage. 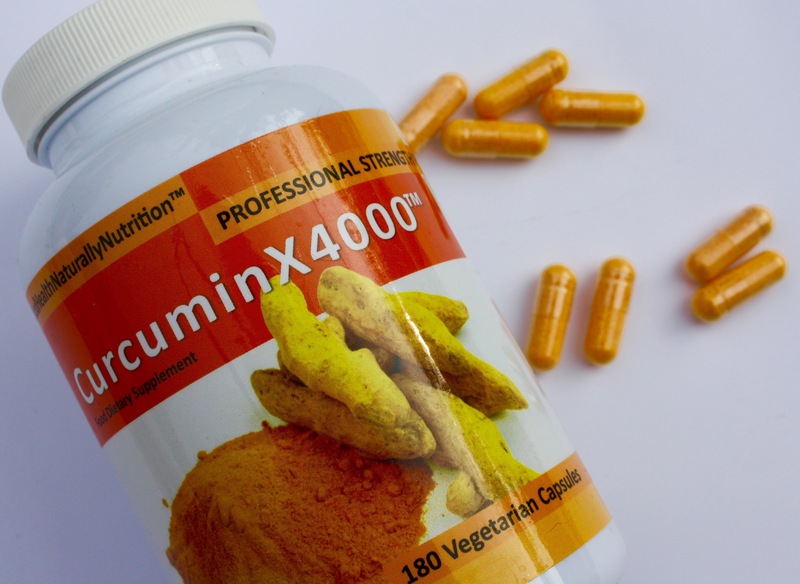 I take a curcumin supplement daily to help with inflammation & my back pain. You could also add it to your diet – try this delicious turmeric tea recipe or my Coconut Curry Chicken recipe. 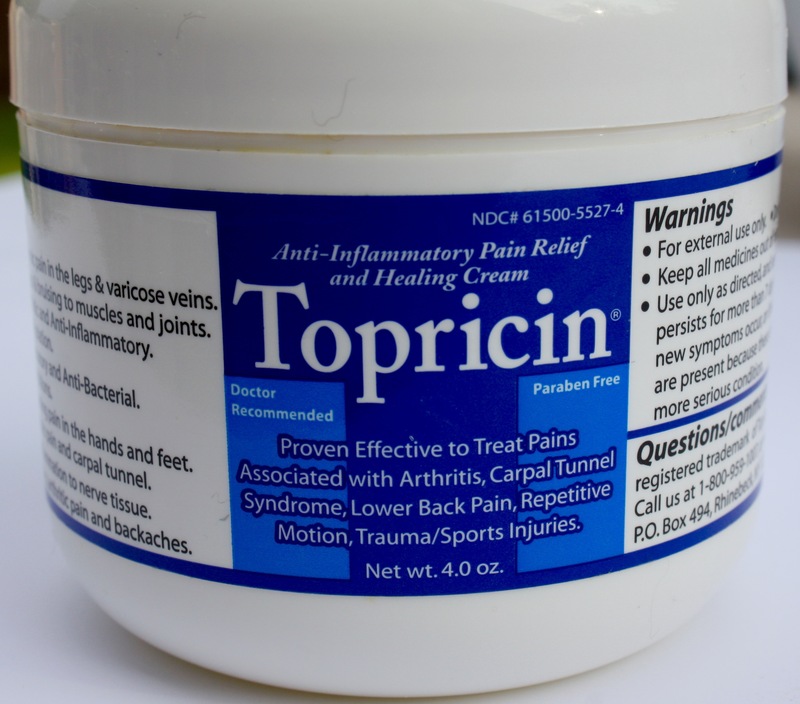 This anti-inflammatory pain relief cream is a safe alternative to medication that is effective for muscle, tendon, ligament and nerve tissue pain. It is safe for the elderly (as it does not interfere with medication), kids, pregnant women, and for all skin types. It has no odor or fragrance, no petroleum and is non-greasy &, non-staining. When I have back pain, I rub this on and the results are instant. Plus, its actually working to promote healing, not just masking the pain. PanAway – This blend of wintergreen, helichrysum, clove, and peppermint combines oils that each have anti-inflammatory properties, making for a super-effective combo. It “…reduces pain and inflammation, increases circulation, and accelerates healing. 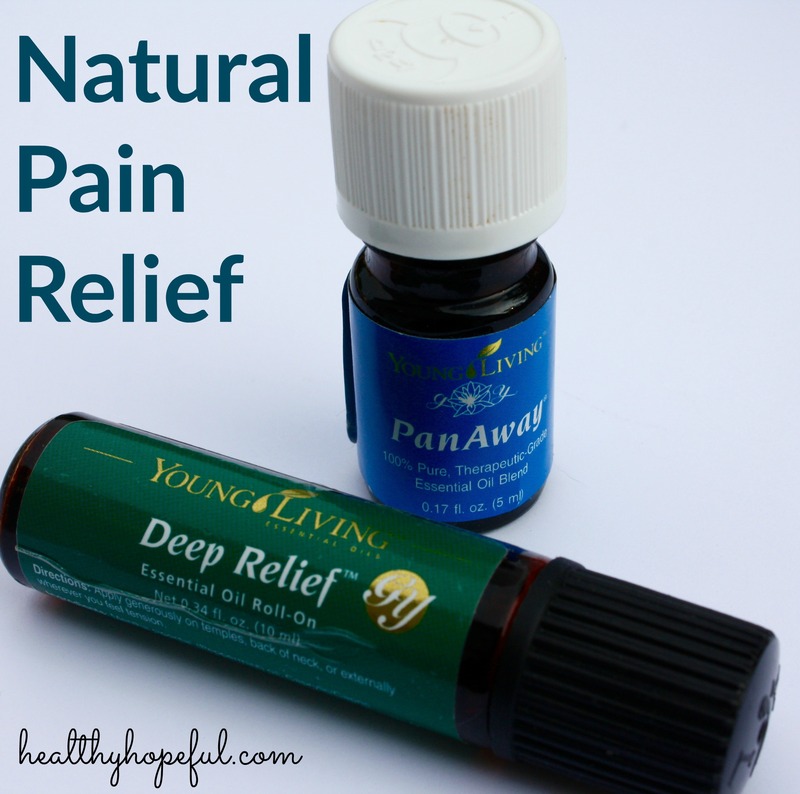 It relieves swelling and discomfort from arthritis, sprains, muscle spasms and cramps, bumps, and bruises” (Source: Essential Oils Pocket Reference ). Mix a couple drops with some coconut oil and rub on the area of pain. If you’re interested in trying out essential oils, check out my guide to getting started. Bonus – PanAway comes in the Young Living Premium Starter Kit! I know, that sounds way too simple, but listen… Our body is made up of 75% water and our brain tissue is 85% water. Adequate hydration is essential to our bodies and brains functioning properly. We tend to think that we are “thirsty” when our mouths become dry and we crave a drink, but this is actually the last outward sign of dehydration – if you are feeling this, your body is screaming for water. Chronic pain is a huge indicator of thirst. For a while, painkillers may work, but eventually the brain will become so dehydrated that it will register all pain until it gets enough water. And, until it does, the pain will increase and the body will limit the mobility of those areas in order to “prevent the production of additional toxic waste” that water, if available, would wash out. If you are experiencing consistent back pain, leg pain or headaches, take note. I’ve started making sure I drink 8 glasses of water per day (if not more) to stay consistently hydrated. When I do have back pain, the first thing I do is drink several glasses of water to see if the pain passes. Surprisingly, it actually works most of the time. And if it doesn’t, no harm, and I move on to the other options above. If you haven’t visited a chiropractor, you are seriously missing out. I have seen dramatic healing by visiting my chiropractor regularly. I started off seeing her 3 times a week when my pain was constant, and as I improved, it became less frequent. Now, I see her for adjustments and some PT or massage every two weeks. What I have found incredible about adjusting my spine is how much it also affects the overall nervous system and brain. It’s improved the health of my body as a whole… it sounds a bit crazy, but my chiropractor has also helped with my allergies, ear infections, headaches and digestive issues. It can be hard to find the right one, but if you’re in Austin, I have a great recommendation for you: Tracie Schwab at Backbone Wellness Center. Plus, most insurance companies will cover your visits (with a copay) up to a certain number each year. While these natural methods may not work for all types of pain, I pray that they help provide some safe relief next time you are suffering. Let me know how they work for you or if you have any other suggestions! I am always down for trying a natural pain remedy. Sometimes using lots of prescription medication scares me because I don’t know what other effects it could have on my body. I don’t know if natural works for me either but I think it is worth a try! I hope it does, Pam!! Yes, prescription meds certainly can have lots of side effects, even long term. Essential oils are petty amazing! I wish I could have found a good PT when I needed one. I visited probably 10 different ones with no luck. But I know they help lots of people!